Certainly an anniversary that needs to be honored every year. VE and VJ Day were two very significant days in world history. VE Day stands for Victory Europe when the war in Germany came to an end on May 5th 1945. 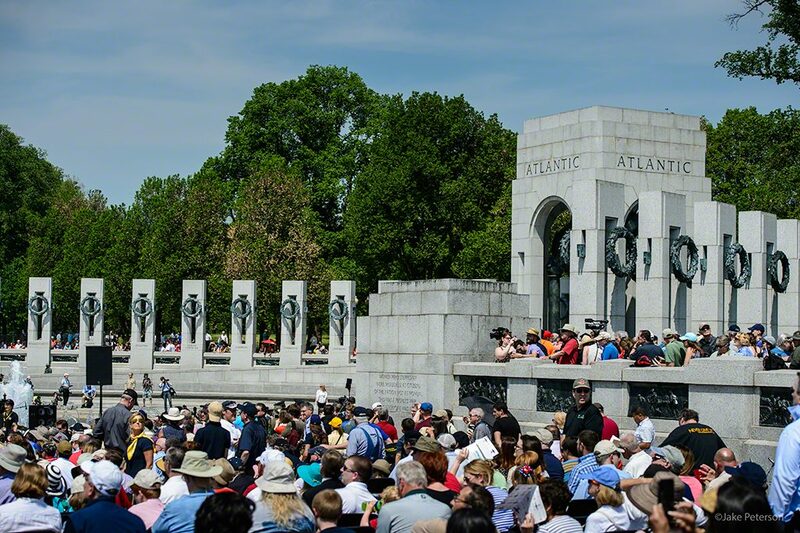 WWII affected millions of lives and when the conflict ended life didn’t just resume as normal. It took time. Time to remember. Three years ago I had the great fortune to be at the 70th Anniversary of VE Day as part of the Arsenal of Democracy Flyover in Washington DC. 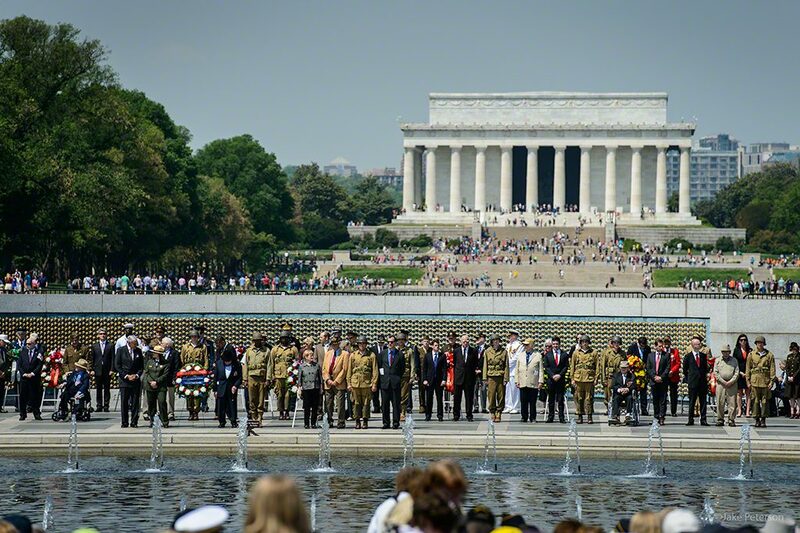 Over thirty thousand people attended the ceremony and over 800 veterans were present at the Reflection Pond. Every head was looking up as the 52 aircraft flew overhead in honor of the different services that participated throughout the war. You can see what happened through the eyes of the Texas Flying Legends Museum and their fleet of aircraft as they flew over the memorial here. ← New Additions to the Gallery!